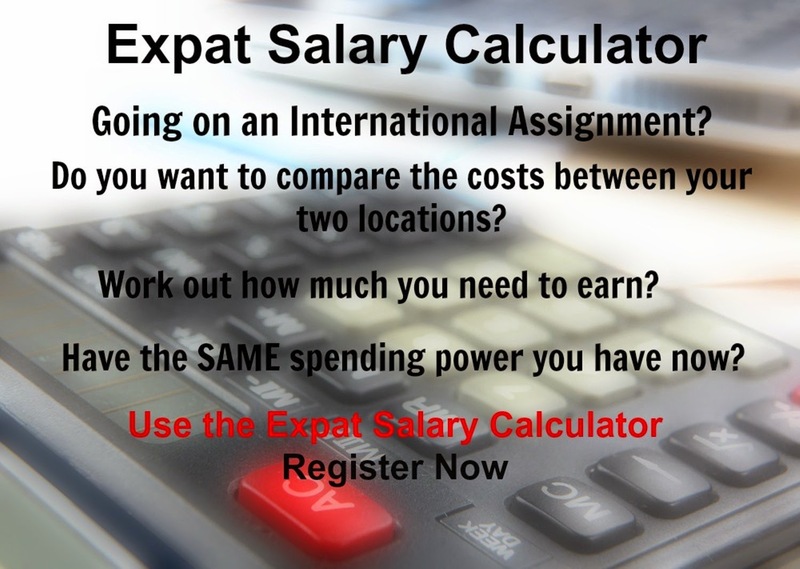 Caracas is the most expensive expat destination worldwide. As the World’s fifth largest exporter of oil, Venezuela was once a top destination for skilled oil and gas expatriates. It’s attractiveness for expats has been steadily eroded by strict government regulations that limit hiring and compensation for foreign workers and by the soaring cost of living. 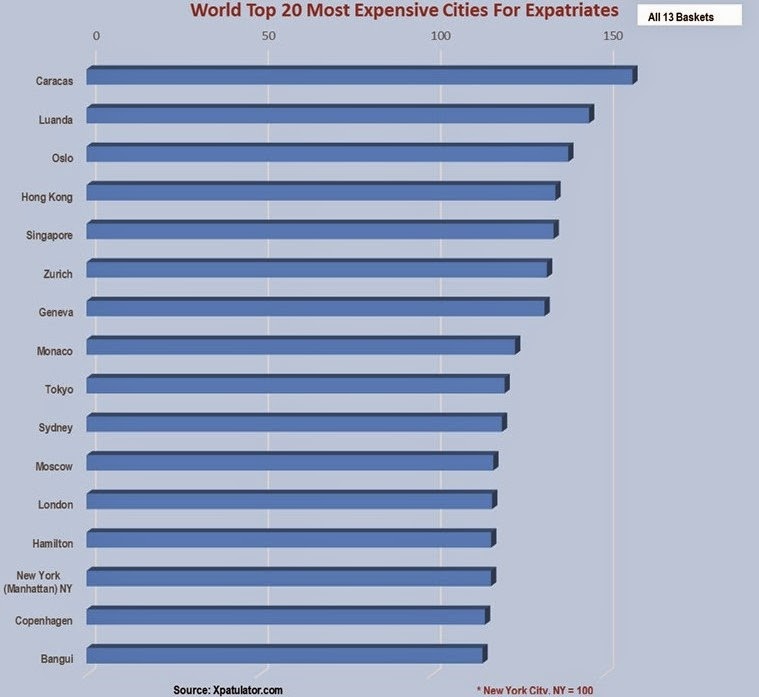 Which Cities Are the Most Expensive to Live in for Expats in Africa - October 2014? 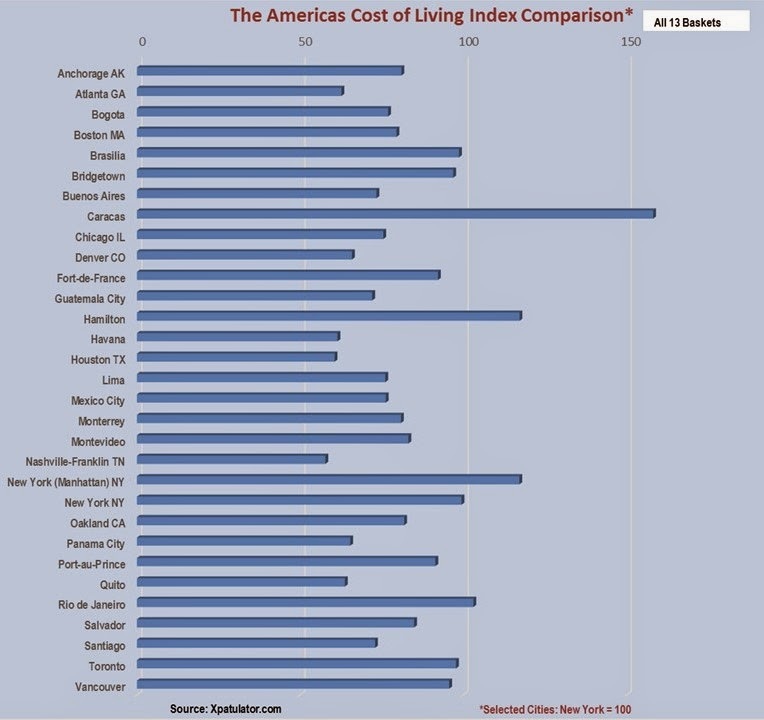 Despite the obvious poverty and sprawling slums in Angola, accommodation for expatriates remains extremely costly. Keeping the Capital City of Angola at the top of the list for most expensive locations for expats in Africa according to Xpatulator.com. Bangui in the Central African Republic (CAR) is the 2nd most expensive city in Africa. 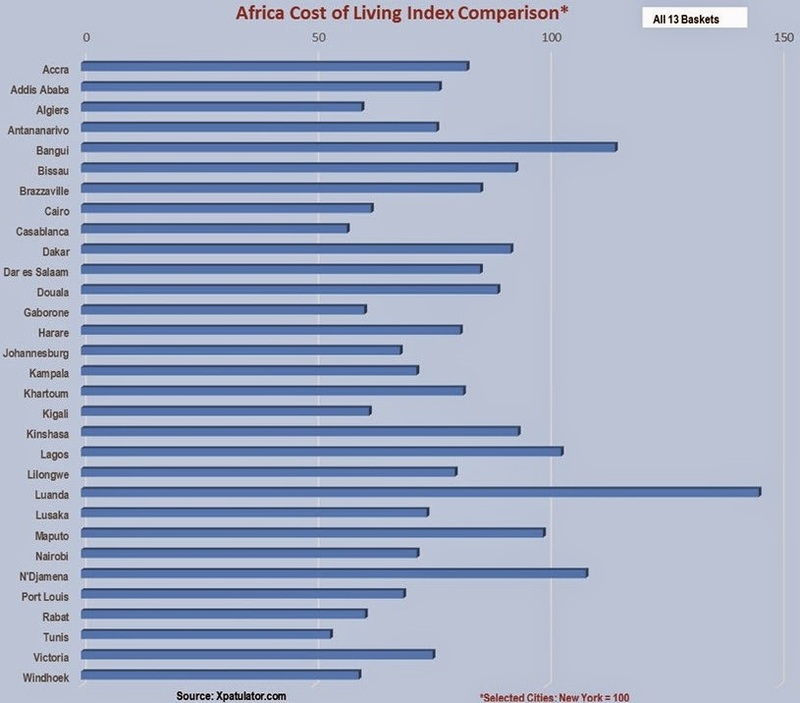 What other cities make up the costliest for expats in Africa?